All service members returning from West Africa will be quarantined for 21 days to ensure they are Ebola free, Defense Secretary Chuck Hagel said Wednesday. Speaking at the Atlantic Magazine and Aspen Ideas Forum, he said that among the reasons the Pentagon is taking that step is that military families were requesting a “safety valve” for those who deployed and those who remained in the United States. “This is also a policy that was discussed in great detail by the communities, by the families of our military men and women,” Hagel said. In his order to the Joint Chiefs of Staff, he is asking for an operational plan in 15 days on how this will work (taking of temperatures, etc.) and he wants to review how the plan is actually working in 45 days. 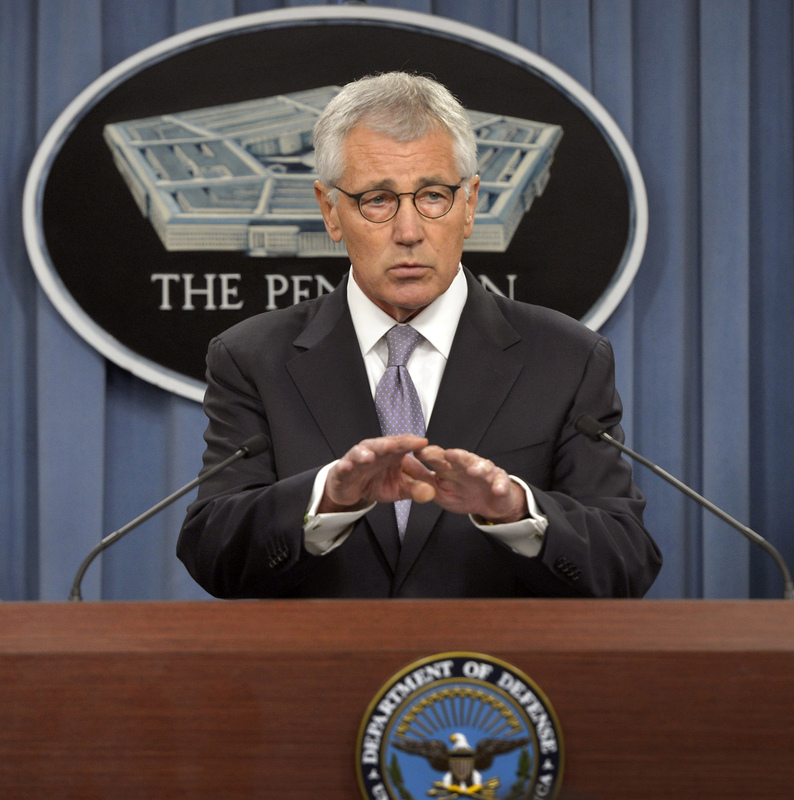 “The military will have more people in West Africa than any other agency,” Hagel said. He added that unlike many health workers in and out of the government “they are not volunteers” in going to the countries most devastated by Ebola. Hagel noted that American troops returning to Italy earlier this month from West Africa were quarantined to ensure they were not carrying the virus. A command headquarters is already in place for Operation United Assistance. About 4,000 service members are likely to be sent to West Africa over the next year, primarily to Liberia. 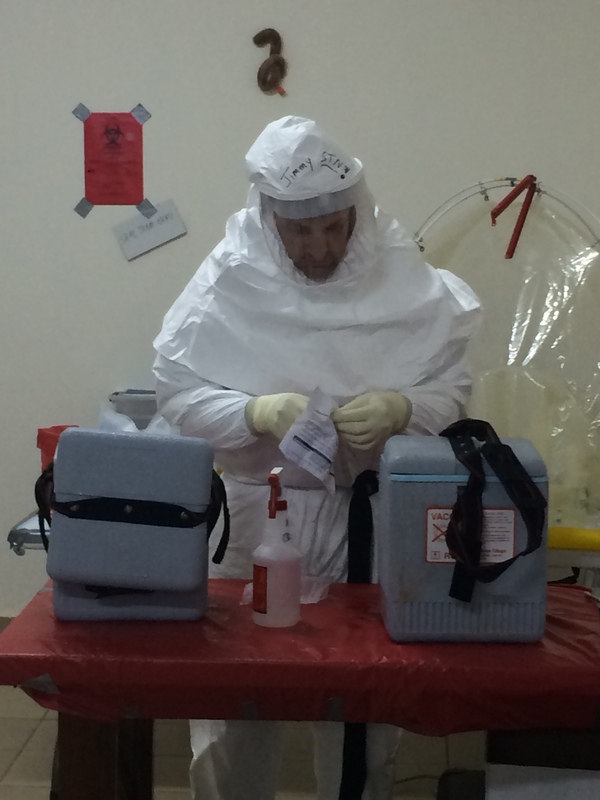 American service members will be building special clinics and hospitals, assisting in laboratories, and providing logistical support to control the outbreak. “Tyranny, terrorism, challenges to our country and our freedom is going to be with us” into the foreseeable future, he added. Yet at the same time as those crises exist, Hagel said, “there’s less partnership” in Congress to meet those challenges, especially in making reforms to close bases, deciding which kind of aircraft to build, and freeing funds for other uses. No matter what the change is termed, Hagel said the facts are that Arctic ice pack is melting and a new waterway is developing that is open for mineral and petroleum exploration and defining borders by the nations that have territory in the region—including the United States. He called the new Arctic strategy “critically important” as multinational talks open soon in Iceland on future development, navigation, and security there. Hagel said that his experience serving as an enlisted soldier during the 1968 Tet Offensive in Vietnam has shaped his thinking on security issues, especially the unintended consequences of military operations.